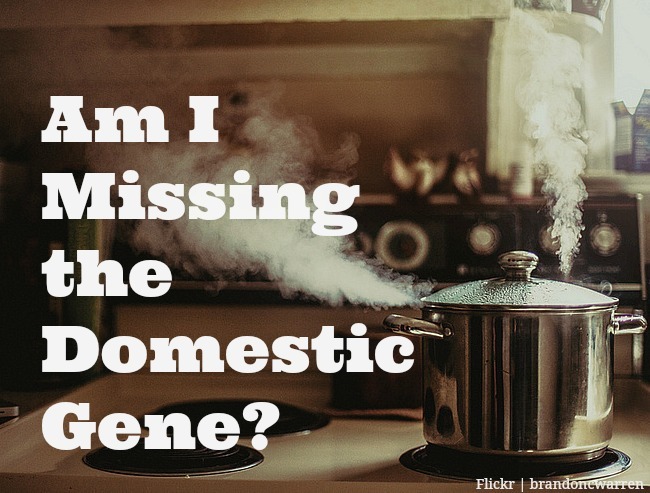 Am I Missing the Domestic Gene? Surely makes you lose your mind …. Life in the fast lane, everything all the time. Yeah, me and the boys from The Eagles are ‘eager for action and hot for the game.’ I’m living life in the fast lane balancing an overwhelming work schedule and dealing with lawyers with my court case. I know it seems like all I’m doing is working and learning legal jargon to decipher email messages. There must be more that I’m doing then just … that? There is. I’ve shared with you in many of my posts about my culinary challenges. 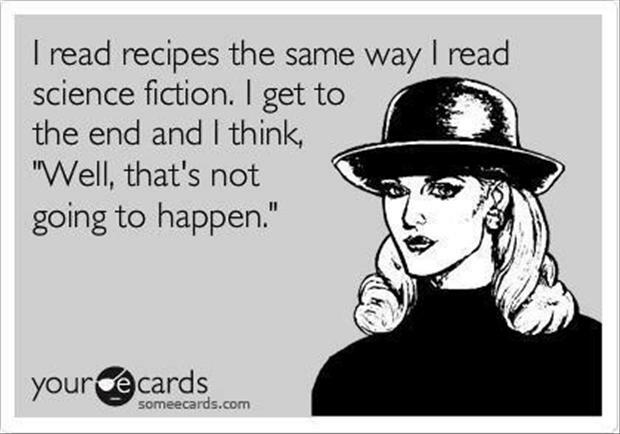 Like this one here, TV Shows I Wish The Food Network Would Produce. This perfectly describes how I prepare meals in my kitchen. I do the best that I can with my limited cooking skills and unfortunately, I end up eating a lot of frozen prepared foods. And I’ve looked at those labels so don’t start commenting to me about how bad these things are for me and my son. Trust me, I know. So in between everything else going on, I decided to make an effort to find some recipes that someone like me could make. My first stop was to run a search in Pinterest. Maybe it’s just me but I would think the word ‘easy’ in front of recipe meant that I didn’t need to chop or blend or mix or sauce. I don’t own a blender or a food processor. I swear, I got my first set of knives like 2 years ago. For the longest time, the only knives I had in my house were steak knives. I bought them because I knew I needed something to cut up food like apples and sandwiches. The set I bought looked like the biggest knives in the store so I figured they would work for everything. I mean, look at this picture. 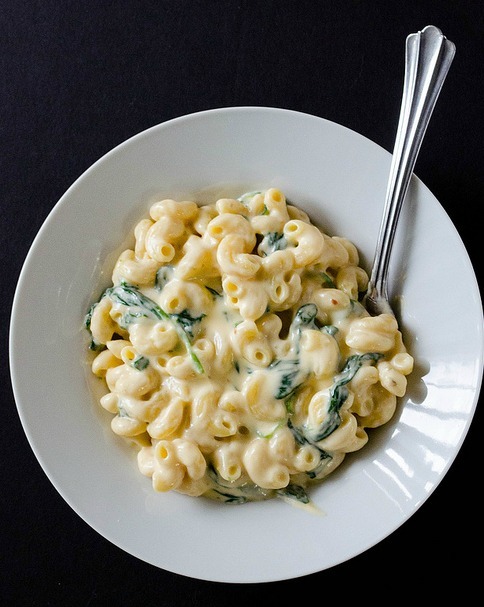 It has healthy stuff it in, it’s creamy and who doesn’t like macaroni and cheese? It had seven ingredients. How hard can this be, right? I even went out and bought those measuring doo-hickey things to measure the garlic and onion powder. After buying all the stuff, I print out the recipe and head to the kitchen. After 20 minutes, I had my first pot of homemade macaroni and cheese. It didn’t look quite like the picture and it was a bit on the sticky side. But I liked the idea of adding in the spinach to make it healthier so I ate it. I made the decision to try it again. Maybe I needed to make some adjustments to the recipe. I’ve watched enough Top Chef episodes to figure this out. I walked around the grocery store with the recipe in my hand. Let’s change out the cheese and add in more yogurt to make it creamier. Alright people, I got this. I cooked up my second batch and my adjustments were way off! The food never made it to the plate. It was a big lump of cheese with strings of spinach and noodles clinging to the bottom of the pot. And I think I burned something. The thing smelled so bad, I had to throw it away in chunks down the garbage disposal because I didn’t want it to stink up my garbage can. I wanted to cry. I destroyed my kitchen sponge cleaning the pot, my house smelled like burnt cheese and I tossed out all that food I just bought. I made a box of Kraft macaroni and cheese that night. At least I can handle that. Back to the recipe I went. I accepted that I’m not Julia Child but I was determined to figure this out. I followed the thing to the letter and at least this batch was edible. But to be honest here, the stuff from the Kraft box tasted better than anything I attempted. And now I’m looking for healthy recipes where I don’t have to cook anything. I’ve found a couple of things and tried them out. So far, so good. I’ve learned how to make a mean turkey, spinach and brie cheese wrap that’s pretty tasty. As long as I don’t have to heat, stir or blend, I think it’s ok to eat it. So to all those women who can whip up a casserole or a pie in 30 minutes, I just can’t be there with you. It seems like it would be really cool to connect with you all on that level and be a part of your world. But that’s not the case for those of us born without the domestic gene. While you worry about which food processor to buy and how you’ll line up your spices into those fancy baskets you bought at Pier One, I’m wondering what kind of science experiments are growing in the back of my fridge and what’s that weird stain at the bottom of the cooking sheet. Do you own a crock pot? If so I could link you to quite a few recipes that are “throw in and leave on for 10 hours” type recipes with absolutely no prep work involved. That 2nd quote is really funny. Btw, you go to Pinterest to look up recipes – shocking! Anyway, sorry the MC sucked. In terms of recipes, my wife looks at how long the instructions are to determine if she will try it. I’m glad you have found some things that work for you and I hope Jake doesn’t starve. Btw, I like pizza. I TRIED looking up recipes but I think my definition of easy isn’t the same as the other women on Pinterest. So then I started looking for no-cooking dinner ideas and found a few things I’m trying out. I feel bad for poor Jake. I feed him frozen stuff like chicken nuggets but at least he eats broc/cheese with his meals. I feel like they cancel each other out. AND we’re fans of pizza here too – we have a great local place that delivers. Don’t you have family around you can take him to for a good home cooked meal every once in a while? Neighbors?? Friends?? You need help – for the boy’s sake!!! Trust me, I feel bad for him. That’s why I’ve been on Pinterest trying to figure something out. Make sure to check out my post today. I really want you to see it and comment. You’ll understand when you see it. Toss in broccoli, chunked up ham, tuna or even some extra cheese into your box of Kraft. My kids like hot dog bites in theirs, side of ketchup… I’ve even swapped the butter and milk with Greek yogurt in a pinch. I shoulda checked before starting the water…No one is perfect in all things, thank goodness! I started adding spinach into the Kraft after my little experiment went crazy. It’s not too bad. I’m just not good at this cooking stuff. I so desperately want a personal chef to come in and cook for me, label it all, put in the freezer and then I pull it out, follow the re-heat directions and eat a healthy meal. If we lived in the same state, we could cost share that chef! We most certainly would — and we’d both be very happy mommys! Hey you tried. There are a load of great healthy non cook recipes out there to serve your needs. Also, I agree with the crockpot idea. You can’t go wrong with that. Yeah, I should get points for trying. I’m starting to think I need to research this crock pot idea. I just wonder if there are any healthy crock pot recipes. oh my… my heart is breaking over here… I can’t stand it, First off, go buy a crockpot, if you can’t cook, it will save your life! Second, I am going to email you, cause you can’t continue life like this! I will introduce you to tater tot casserole and your life will change! I’m trying to accept the reality about culinary skills. It does make that eating quite hard and I just can’t go out all the time. Are there healthy crock pot recipes or are they all mostly like casseroles? Lol! 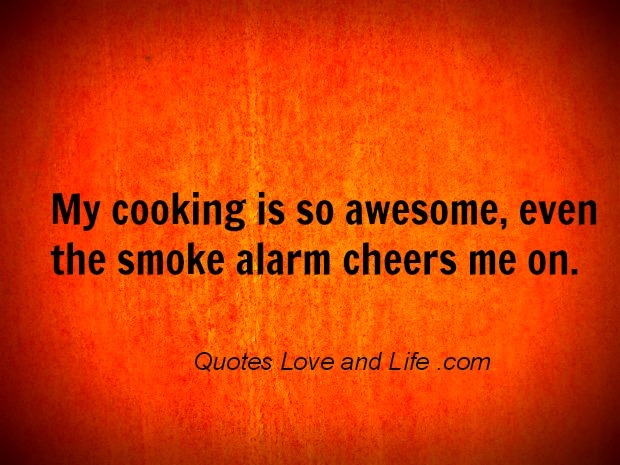 I hear ya on the personal chef! Yes, there are healthy crock pot recipes, but really, anything is better than eating out! I got your email and I’ll write back about the recipe. Thanks for sending it!